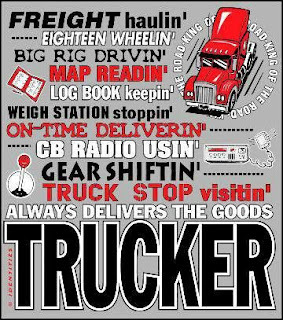 Truck drivers once had a highly elaborate and colorful vocabulary of slang for use over their CB radios, but with the high turnover in the industry in recent decades, this has all but vanished. Most of the newer generation of drivers in the U.S. today speak to one another over their CB radios (or other similar communication devices) in more or less standard English (as understood in the various regions of the country), although a few of the slang words and phrases have remained, and many of these have passed into use in the colloquial language of the general public. "Smokey" and/or "bear" are still used to refer to police officers , especially state patrolmen, and sometimes "diesel bear" for a DOT officer, though many new-school drivers merely say "police," "policeman" and "cop." "Hammer" refers to the accelerator pedal, and "hammer lane" the left lane or passing lane on a freeway, in which traffic generally travels faster. "Handle", meaning a nickname, was once exclusively truck-driver slang, but has now passed into common use by the public, especially for pseudonyms used on Internet forums. Often older truck drivers speaking over their CB radios are frustrated at new-school truck drivers' lack of understanding of the trucking slang of the '60s, '70s and '80s, and grudgingly resort to standard English when communicating with them. 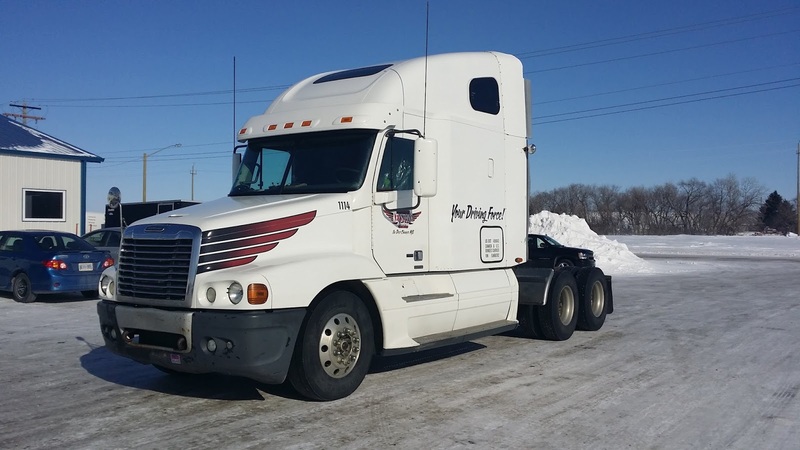 However today the slang is mostly gone, and some companies such as Swift Transportation consider the CB a safety hazard and prohibit the installation of a CB radio in their tractors. city kitty – a city police. coloring book/comic book – terms used to describe the HOS paper log, this stems from the days of multiple logs prior to electronics. comeback? – What? I beg your pardon? Could you repeat that, please? deadhead – a tractor pulling an empty trailer; miles covered while pulling an empty trailer are called "deadhead miles"
little sign – the "Open" sign for weigh stations, also referred to as "the little word"
on your back door – a vehicle behind you, commonly referred to as "on your tail"
parking lot – an auto-transport truck, usually referred to as a "portable parking lot"
plain wrapper – unmarked law enforcement vehicle, most commonly referred to with the color of the wrapper such as a "plain brown wrapper"
taking pictures – a law-enforcement officer using any speed-detection device or radar gun, but most commonly when using a camera radar. 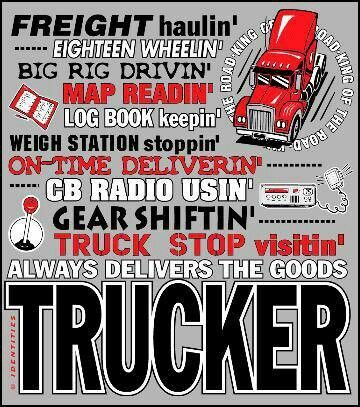 No Comment to " Regional Slangs of Truckers "